That was Paige Lewis and the title track from her 2011 CD "One Good Day," and this is JD Doyle, bringing you another special edition of Queer Music Heritage. I'm calling it special as it's Part 2 of a tribute to Houston-area artists. I started this salute last month with two hours of old and new music and that just wasn't enough to do it justice, so here is more, and in this hour I'll get into some deep history, but first I can't resist sharing one more track by Paige Lewis. I've interviewed her live on Queer Voices but sadly, for local audiences, she's moved to L.A. to try her career there. The second song I'm playing by her is called "I Belong With You Now." 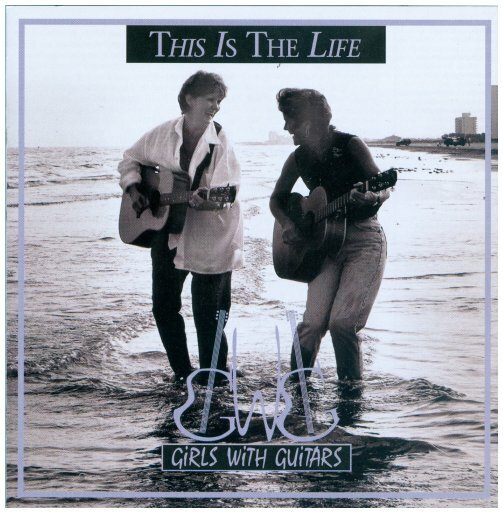 After Paige Lewis Harriet Reynolds gave us the song "I'm the Fool," from her 2004 CD "A Better Life," and then the half-lesbian duo Girls With Guitars sang two tracks from their 1996 CD "This Is My Life." I selected "By My Side" and "Mine All Mine." Up next I've got part of an interview that hasn't been heard in twelve years, but I resurrected it for this show, and I'm pleased that it includes my late friend Jimmy Carper, who died this past January. The artist is Jeannie Kauffman and we had just seen her perform at the Houston Women's Festival, and this was so long ago that they were still having the event at Garden in the Heights. 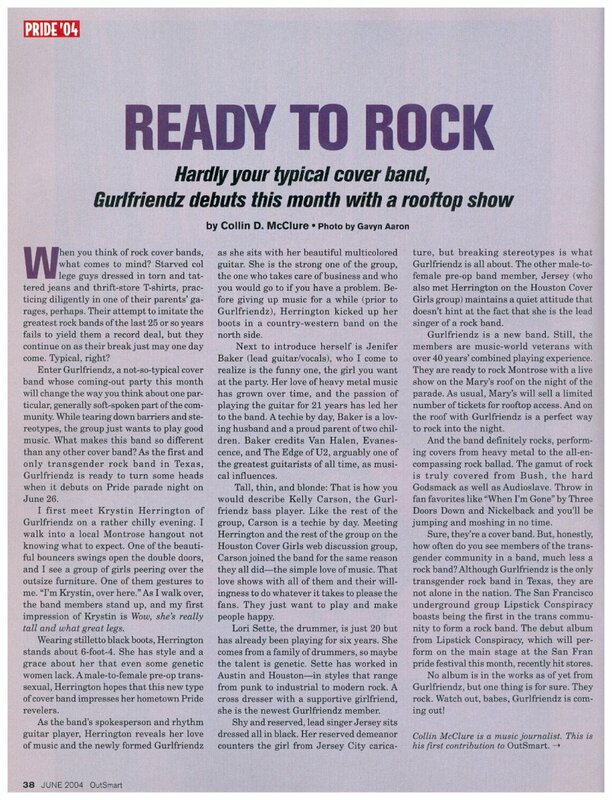 We were quite impressed and quickly got her on Jimmy's show After Hours, in January of 2002. So, here's just a bit of the interview before and after her song "Choices." 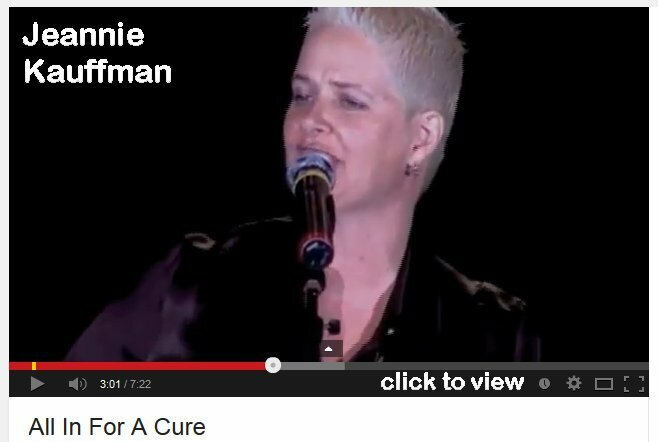 While researching this show, sadly, I found that Jeannie Kauffman had died of a brain tumor on February 7, 2008.
download the entire one hour interview she did in January 2002, on the Houston show After Hours (KPFT). 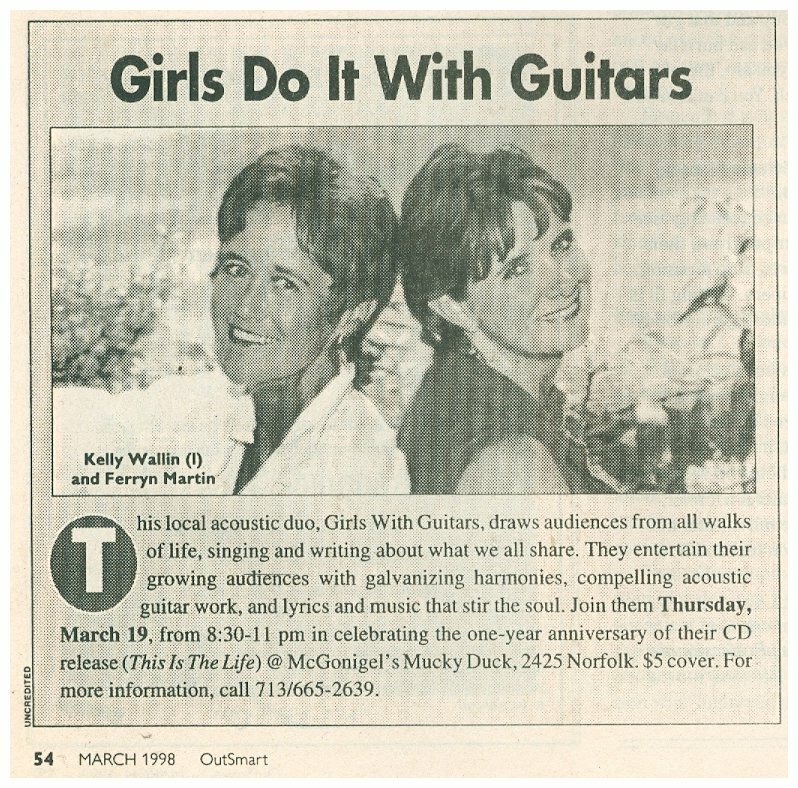 Now we're going to get to some deep Houston music history, and this first track, well, if I didn't tell you it was from 1979, by its sound you would immediately figure that out. 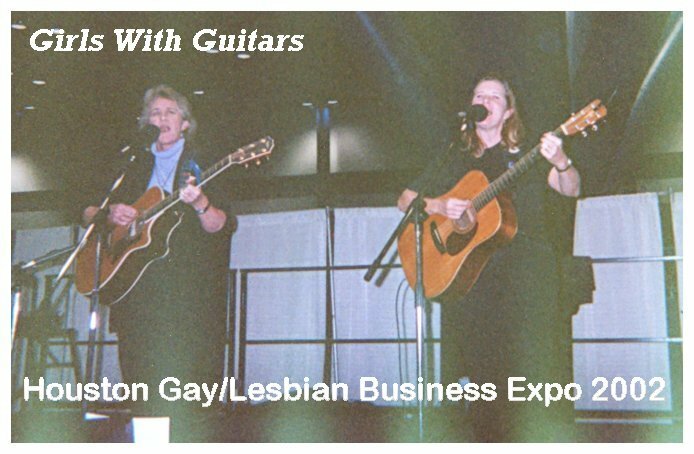 And you can't get much more gay than this group and the name of their song. 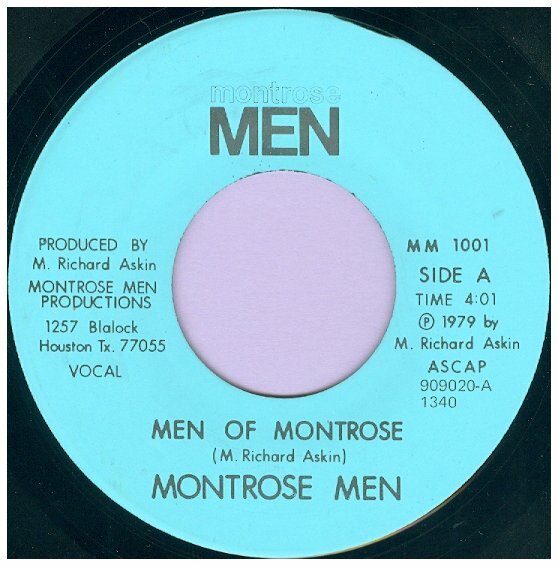 Here's the Montrose Men singing "Men of Montrose." 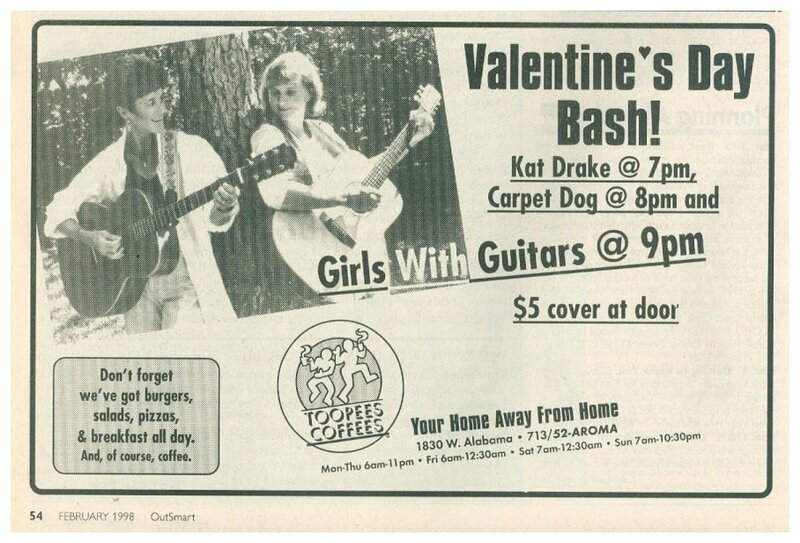 And here's and artist named Teresa, taking you on a bar crawl of gay Houston, in 1988. It's named after the iconic Houston bar "Mary's Naturally." And that's another rare track I'm fortunate to have. 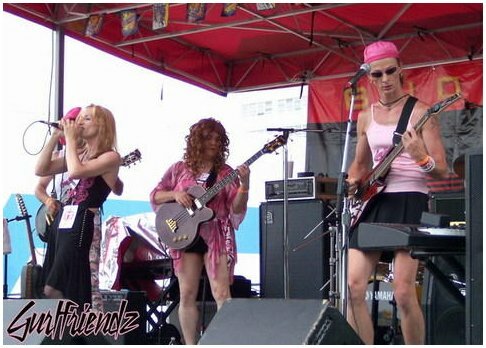 It's by a very popular band from the early 1980s called the Mustang Band, which included some of the members of a social club called the Mustangs. One of the members sent me a live tape of one of their shows and I took the track "I Don't Wanna Cry." 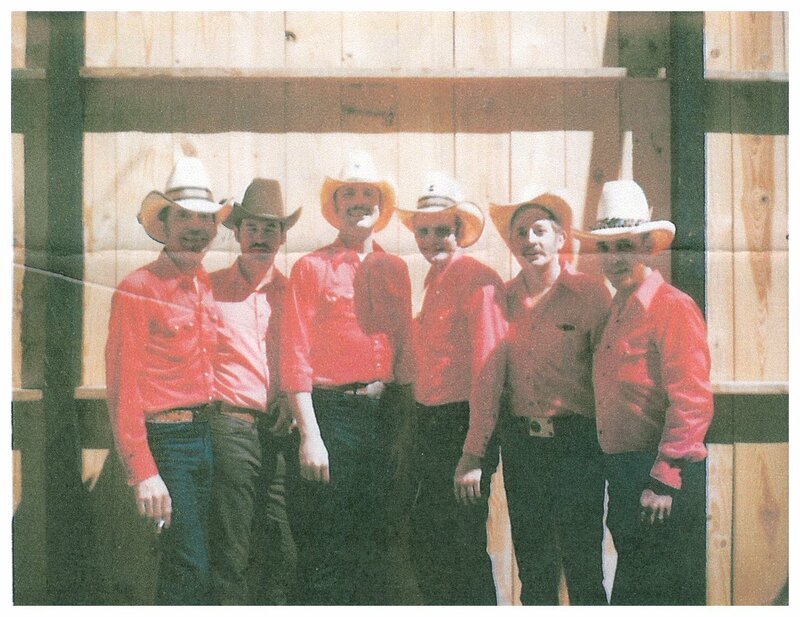 The band played extensively all over Texas and the Southwest, including Los Angeles and Reno. 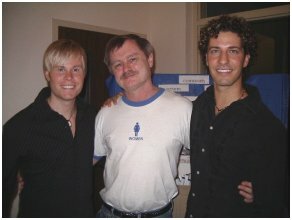 The member who sent me the tape, Larry Hodge, wrote me a number of years ago that he thought he was the only member of the band who survived the AIDS years. And that segue way brings us to another artist who died of AIDS, in 1992. His name was Jim Boulet, though he later changed it to Matthew Pereguine, and he was in a couple acts. I actually pieced that information together when I added him to my website Texas Obituary Project. His obituary gave me the info to connect the dots. 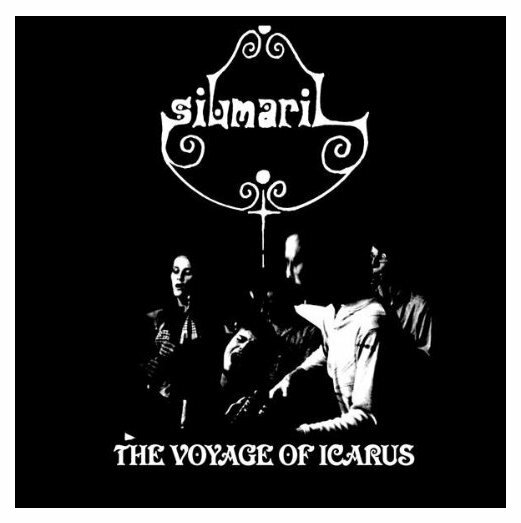 In 1973 he was in an artsy group called Silmaril, taken from a name that appears in "Lord of the Rings." 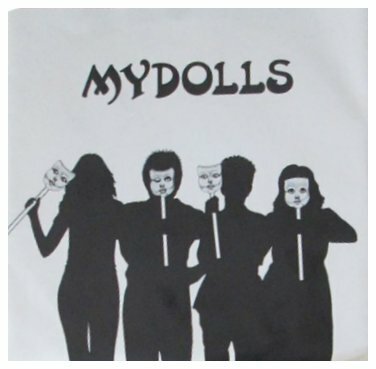 They had two albums, which surprisingly have been reissued on a CD. 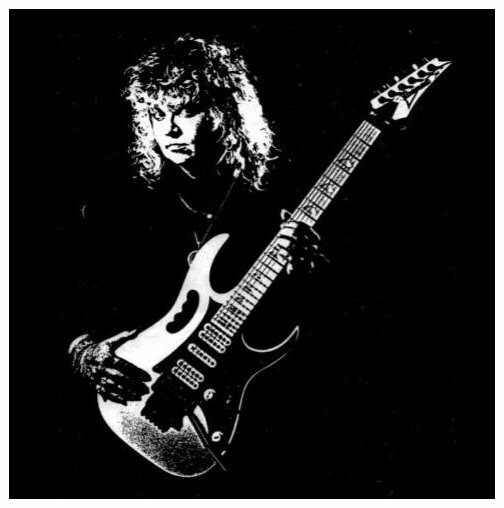 From the LP "Given Time" I picked the title track. 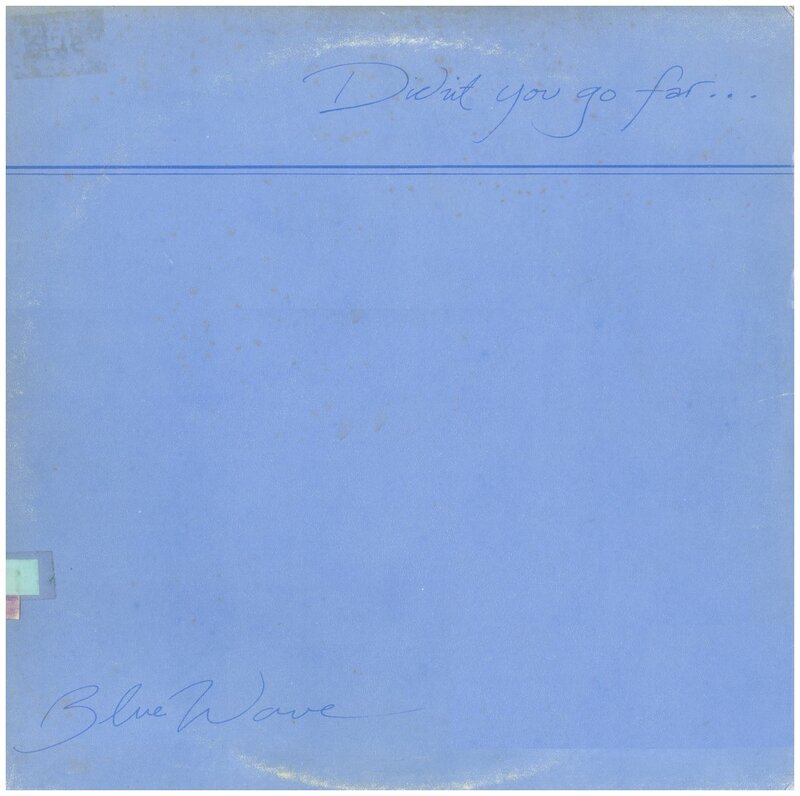 And then in 1981, now going by Matt Boulet, he and Angel Soto formed the duo Blue Wave, and they released an LP named "Didn't You Go Far." 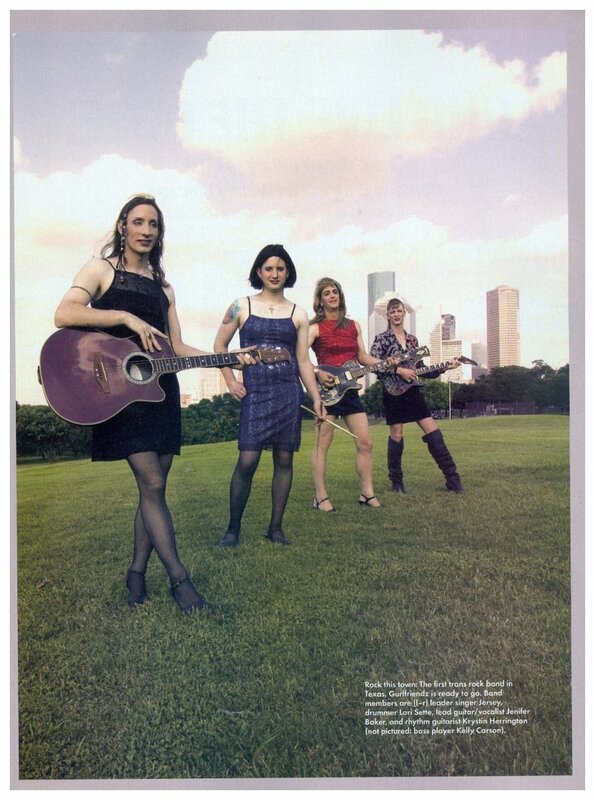 They got a number of Houston performers to help back them up and on the liner notes I can spot the names of two that I also found in my obituary data base, Trent Mixon and Danny Villa. From that LP I picked the tracks "Didn't You Go Far" and "Open Letter #1." Well, I told you I was getting into some deep history. 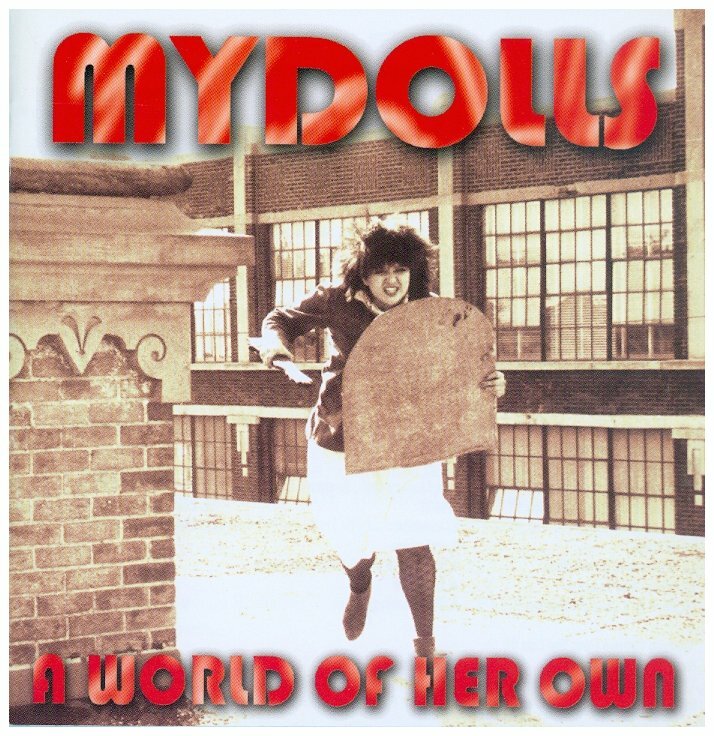 From 1982 that last song was by a punk band that had several lesbian members, and they called themselves the MyDolls. 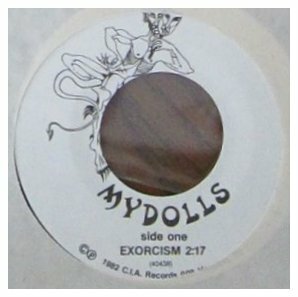 That song, "Exorcism," was first on a 45 rpm record, in 1982, and all of their vinyl output is now quite rare and pricey, but fortunately the best of it has been reissued on a double CD called "A World of Her Own." 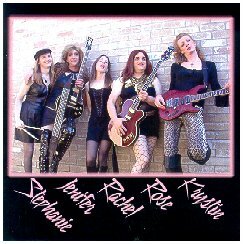 Here's an all transgender band that unfortunately didn't last very long, but long enough for one CD EP. 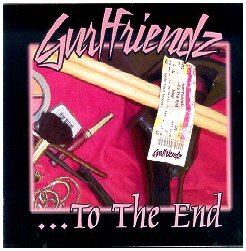 From 2005 the band Gurlfriendz sang "All of Me" on their album "To the End." 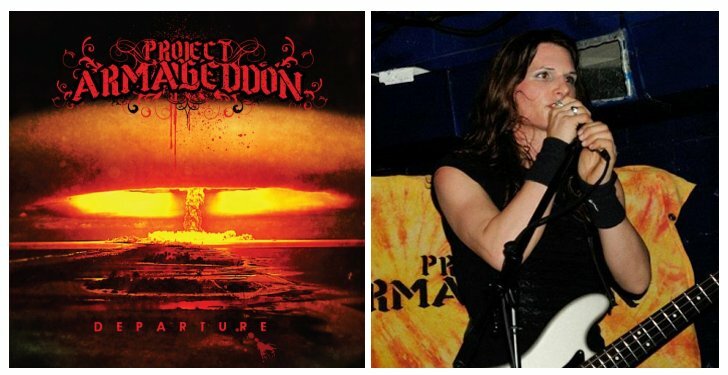 And that was a dash of heavy metal, by transgender artist Doomstress Alexis singing lead for the band Project Armageddon. 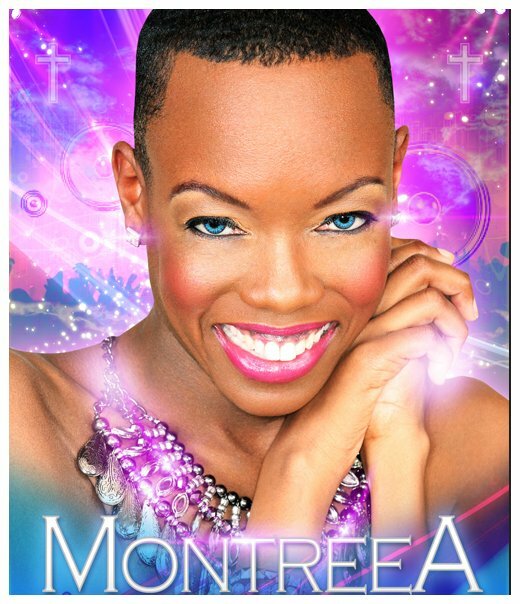 I've known this next artist for a lot of years, and she recently changed her performance name, from Miss Money to Montreea. I have two tracks to share by her and I'll start with "Best Friend," from 2006, and then you'll hear "Let's Get Married," from 2011. 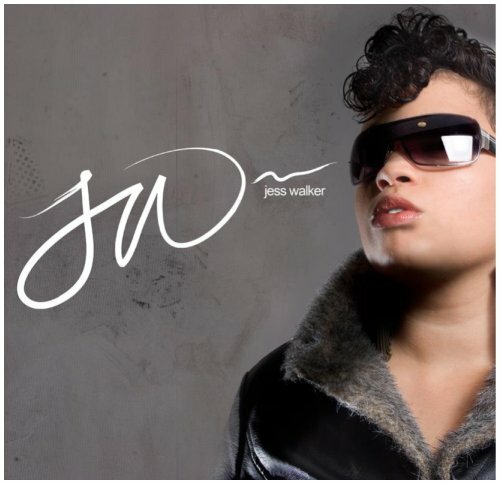 That was Jess Walker, who I met when she sang at the 2013 Pride Festival. From her demo EP that was the song "First and Last." 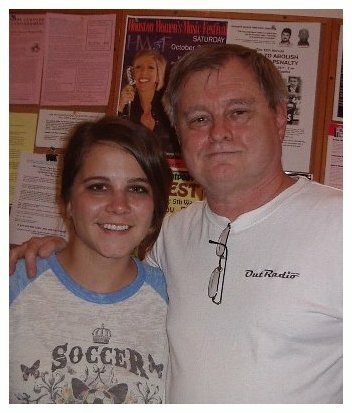 I think she has a bright future in music, and can't wait to hear more. I'm making time to slip in a local artist I just found out about, as I heard him perform at a Pride Superstar event in May. He's Kristof Shane and in this track he does a cover of the Nico & Vinz song "Am I Wrong." And this is JD Doyle ready to close down a slightly extended segment of QMH, saluting Houston-area artists. I was pleased to be one of the first to play this next track in May on OutRadio. 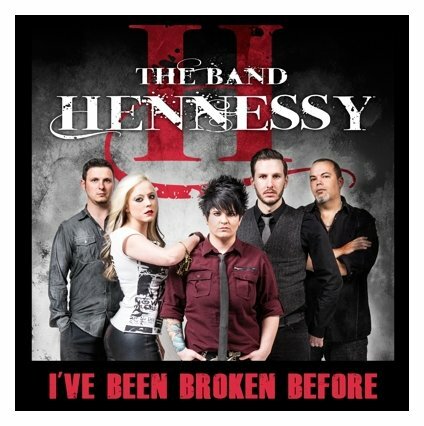 It's the first single by Band Hennesey, called "I've Been Broken Before." This is JD Doyle, and we're back with my salute to Houston artists and I was kind of surprised that I found so many from Houston doing Christian or spiritual music, so this entire segment is devoted to that. And as I opened the salute last month, I'm beginning this segment with my friend Christian Andréason. 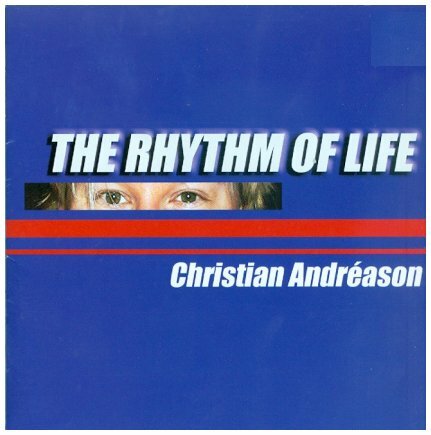 I started the show with the song "Show Me In Red" by Christian Andréason. 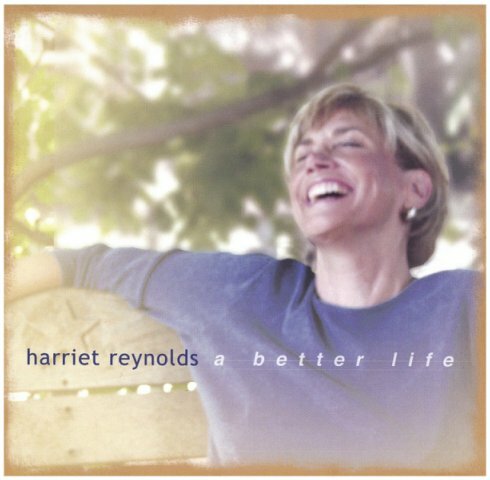 That's from his 2005 album "The Rhythm of Life," and I think it captures fairly well the attitude of GLBT artists singing to God. I asked Christian to talk about how he wrote that song. I mean he just brought the kid into just tears. And by the time they hung up, I mean, I just knew, you know what? This guy could be putting this kid in a body bag tonight. And I thought about all the other people, that were listening in, and believing what this, this man of hate, who was representing Christianity, was saying to this kid, and believing that it was true, and it just made me so angry that I ran home. And, I didn't know what else to do but get on my piano and write. Best form of social action that I could think to do, just write a song. So that's what I did. That's where "Show Me In Red" came from. And I know that the only way for any of that to change is for those of us who have stood in the light and saw the light, and have also acknowledged ourselves to be self-affirming, and let other people see us be that way and set an example. You know, that's what "Show Me In Red" is all about. And here's another track from Christian's album, called "Running Back to You." I played the duo Jason & deMarco last month also, but this time I'm giving you material by them of a more spiritual nature. And one of my favorites goes back to their 2004 album, "Spirit Pop." It's the beautiful "All I Long For." 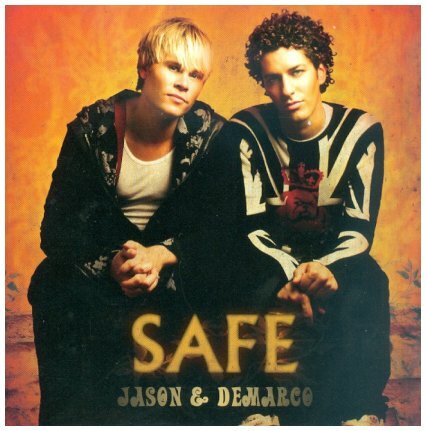 Another by Jason & deMarco, this time from the 2008 CD, "Safe," and it's called "When Your Spirit Gets Too Weak." And this one starts out a bit jazzy. 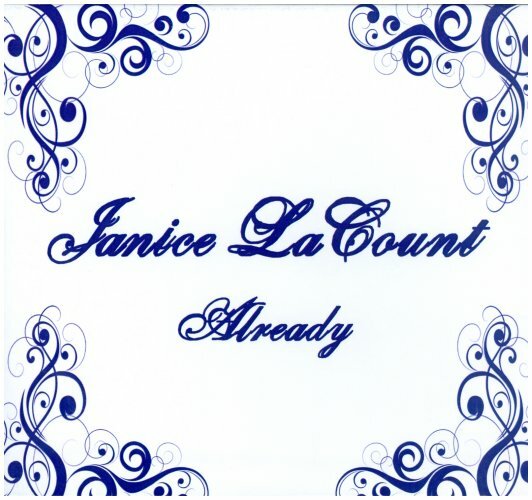 Janice LaCount brings us "Something About My Praise." It's from her 2012 CD called "Already." I love his voice. 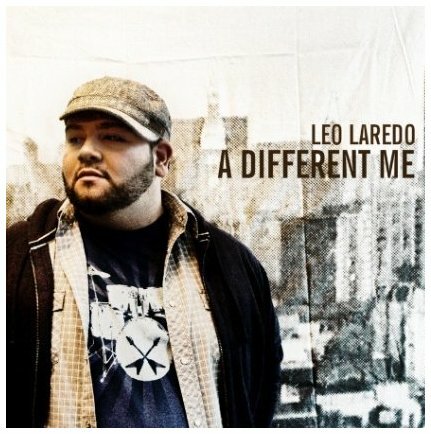 That was two songs by Leo Laredo, called "A Different Me" and "Greater." 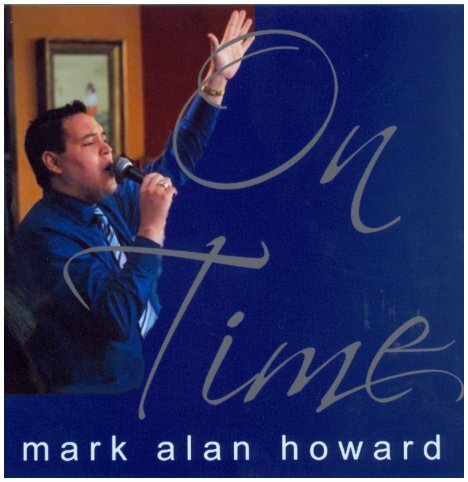 And before him you heard Mark Alan Howard, singing "Nothing's Too Big For My God." 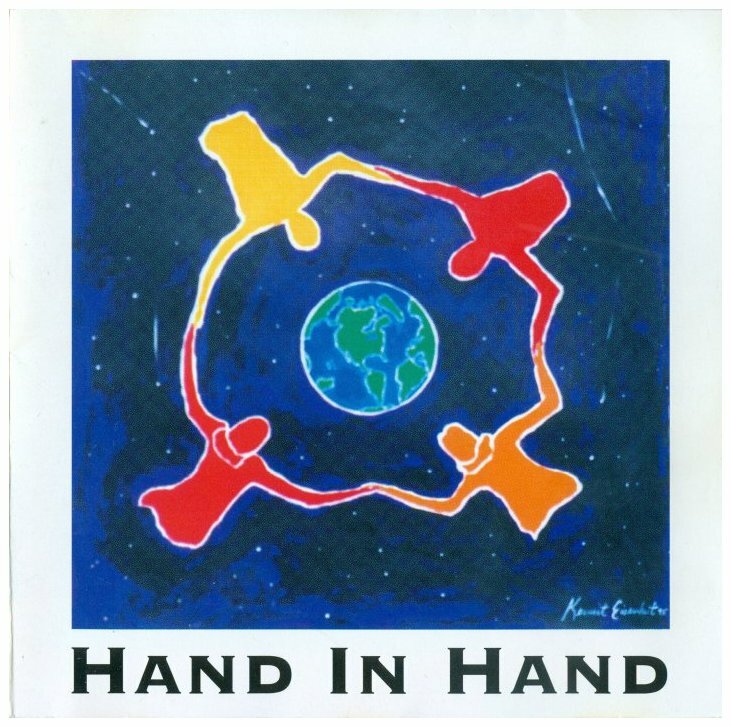 On my June show I played some tracks from a 1995 Houston compilation album called "Hand in Hand." Here's one more, "Ode to Joy" by the Metropolitan Community Church of the Resurrection. 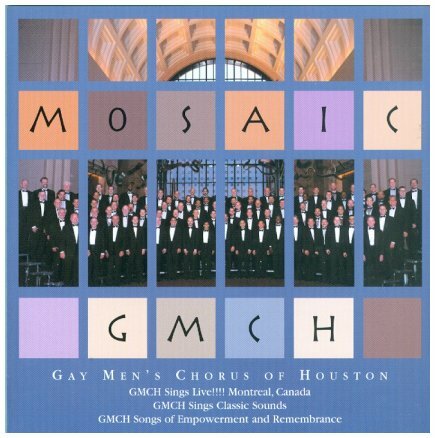 That was the Gay Men's Chorus of Houston, and from their 2005 album "Mosaic" was the track "Last Words of David." Up next is Allen Hanks, and from his 2006 album "Not Like Mine" is "I Cannot." Montreea, formerly known as Miss Money, and "U Can't Stop My Praise." 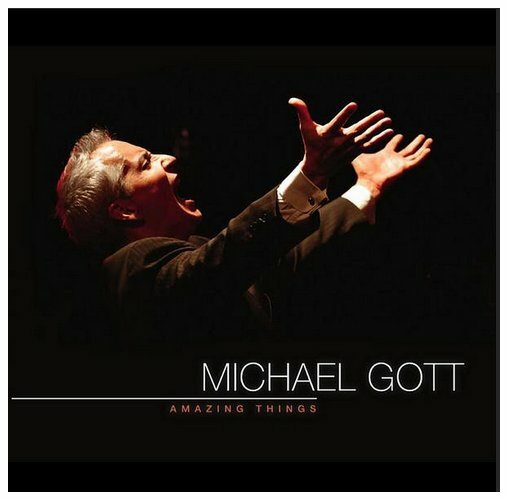 Michael Gott lived in Dallas for a number of years and recorded a bunch of albums, but now he's in Houston and is Senior Associate Minister at Unity Church. From his latest album, "Amazing Things" is a very nice track called "Do You See?" This is JD Doyle and I think you for listening to my tribute to Houston artists. I'm going back to Jason & deMarco for the closing song. It's the title track from their 2008 album called "Safe."